Dametrius Louis Benson, affectionally known as “Meat” was born on March 1, 2001 in Wilmington, Delaware to Bridget Y. Benson and Garry McCullough. Meat left this journey of his life to go home with our heavenly Father on January 24, 2019. Meat attended Eastside Charter before enrolling at Nativity Prep where he proudly graduated in May of 2015. Afterwards, Meat attended Howard High School of Technology where he found his passion working in the HVAC vocation. 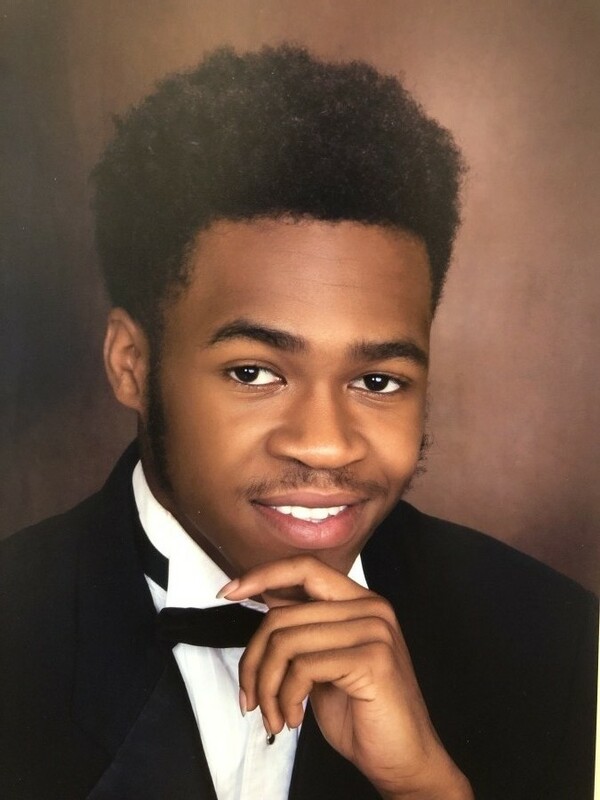 Meat achieved the required credits to graduate and was excitedly waiting for June 2019 when he would walk across the graduation stage and accept his well-earned high school diploma. This was an accomplishment Meat and his parents were very proud of. Meat was well known and loved by many of his peers. He was known for his playfulness and wonderful personality. Meat always had a smile on his face. It was an infectious smile that would light up your heart. Meat loved having fun. He was cool and laid back. He loved playing his PlayStation 4, driving his car, spending time with his girlfriend Kiya and eating his favorite snacks; sunflower seeds and Gushers. Meat also loved being around his family. As a young child, Meat loved hanging out with his uncles, Brian (deceased), Alan, Derek, Kirk and Bruce Benson. He also loved spending time with his Pop-Pop Amos in North Carolina where he learned to fish, ride horses and drive cars. As Meat grew up, there was hardly ever a time when you saw him without seeing his two bro-cousins, Brandon Wingo (deceased) and Shawn Garrett. Sometimes you would mistake them as being Siamese triplets. The three of them shared an unbreakable bond. They were truly brothers. And now Brandon and Meat are together forever, resting in heaven. Meat loved his close-knit family and spending time at their many events. He was always his mother’s baby and loved his sister Shakheeta, whom he had wrapped around his finger. Then came his nephew and niece, DeAndre Jr. (DJ) and Dakota Hutt. Meat was always there for them. Whether it was picking them up from daycare or letting little Dakota boss him around. Meat was proceeded in death by his great grandparents: Robert L. and Flora Benson. Grandfather Eugene White. Great uncles: Robert L. Anderson, Clark, Michael and Carlton (Louis) Benson. Uncle Brian Benson and his bro-cuz Brandon Wingo. Meat leaves to cherish his memories: mother, Bridget Y. Benson-Pritchett (Simone). Father, Garry McCullough; sisters, Shakheeta M. Benson and Garrae McCullough; nephew, DeAndre Hutt Jr.; niece, Dakota L. Hutt; grandmothers, Blair Y. Benson and Etheleen Sims; uncles, Alan Benson (Denise), Derek Benson (Michelle) and Shaka Dorsey; great uncles, Bruce Benson (Sheila) and Kirk Benson (Cassie); aunt, Tracey Jenkins; great aunts, Sandra Stith (Lamotte), Sheila Jones and Deborah Benson (Michael); Bro-cuz, Shawn Garrett and Brian Benson Jr.; Sis-cuz, Montiea Brown, Donnasia Bank, Daqui Benson; Little cuz, Zyhia Garrett, Myjah Benson, Jaundi Saunder-Benson, Mashon Tiller and Zachary Benson; Big cousins,Tiffany, Ebony and Michelle Benson, Quanyae Jones and Shanice Lloyd; god sisters, Jeri Dorsey and Chantel Ramseur; god brothers, Robert L. Dorsey and Derek Benson Jr.; Special brother, DeAndre Hutt; Pop-pop, Amos Osbourne; and Bonus mothers, Ametrius Watson and Katrina Jones-Milner (Clare). There are many more aunts, uncles, cousins and friends that are too numerous to list. But Demetrius’s spirit will live on through each and every one who loved him. Celebration of Life Service will be 11 am, Wednesday, February 6, 2019, at St. Anthony of Padua Church, 901 AN. Dupont Street, Wilmington, DE 19805, with viewing from 9-10:45 am only. Interment will be in Gracelawn Memorial Park, New Castle, DE.